The Washington, D.C. Department of Motor Vehicles (DMV) requires all drivers younger than 21 years old to fulfill the requirements of its Gradual Rearing of Adult Drivers (GRAD) program before obtaining a full driver's license. The first step of the process is getting your learner's permit. You can apply for a REAL ID learner permit, which meets the federal identification requirements of the REAL ID Act of 2005, or a Limited Purpose learner permit. During this period, you'll improve your driving awareness, and learn how to drive safely. Continue reading this page to get information about D.C. learner's permits and start the process of getting your D.C. driver's license. You must be at least 16 years old to apply for a D.C. learner's permit. What's a REAL ID learner's permit? The REAL ID permit is a federally-compliant document intended to provide a more accurate and secure form of identification. All U.S. states are transitioning to some form of the REAL ID. It will allow you to continue to use your driver's license to fly domestically and to enter federal and military property. Submit a completed DC Driver License or Identification Card Application (Form DMVR-4). Submit a completed Parental Consent Form to Obtain a Learner Permit (Form DMV-PCF-01), if you're 16 to 17 years old. Proof of your identity and age. This must include your full legal name and date of birth. 2 documents proving residency. This applies to both REAL ID learner permits and Limited Purpose learner permits. The 6-Month Residency Certification for Limited Purpose Credential (Form DC DMV-6MR-001) and 2 documents proving you’ve lived in the District for at least 6 months. This applies to Limited Purpose learner permits ONLY. The DC DMV explains how to satisfy these residency requirements. Proof of Social Security number. Pass a DMV written test. Pay the $20 learner's permit fee and $10 knowledge test fee. You must hold your Washington, D.C. learner's permit for 6 months before moving on to the next steps of the GRAD program. NOTE: If you do NOT have a Social Security number, you can submit a Social Security Number Declaration (Form DMV-SSN-001). The Washington, D.C. DMV will issue you a limited purpose learner's permit. If you've never been licensed in Washington, D.C., you must pass a written exam before the DC DMV will issue you a learner's permit. The fee for your knowledge test is $10. Road signs and traffic signals. 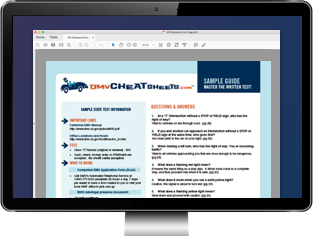 To prepare for your D.C. written permit test, study the Washington, D.C. Driver Manual and take some time to pass an online practice test. If you fail the written knowledge test, you will need to wait at least 3 calendar days before retaking it. If you fail 6 times within 1 year, you will need to wait 1 year from when you failed your 1st test, before you can try again. A licensed adult who is at least 21 years old must supervise you. You can only drive between the hours of 6 a.m. and 9 p.m. The DC DMV requires you to complete a minimum of 40 hours of supervised driving practice before moving to the next step of the process. If you're younger than 21 years old, you must complete at least 40 hours of supervised driving practice before you can obtain your provisional driver's license. The DC DMV requires you to practice driving with a licensed adult who is at least 21 years old. You will need to record your driving hours on a Certification of Eligibility for Provisional License (Form DMV-GRAD-HR40). Once you complete the behind-the-wheel requirement and have held your learner permit for 6 months, you're eligible to apply for your D.C. provisional driver's license. You can replace your REAL ID learner permit or Limited Purpose learner permit in person at your local DC DMV office or online, if you’re eligible. Your current name and address are on file with the DC DMV. You can provide your first and last names, Social Security number, date of birth, and learner permit number. You can pay the $20 fee with a valid VISA or MasterCard. Ready to roll? Head over to the online replacement system. If you’re not eligible to replace your permit online—or you just don’t want to—you can replace it in person at your local DC DMV office. All the REAL ID learner permit or Limited Purpose learner permit documents as outlined under How to Get a Washington, D.C. Learner’s Permit. The $20 replacement fee in cash, check, a money order, or major credit card. Once everything’s in order, you’ll get a temporary paper permit valid for 45 days. The DC DMV will mail your permanent REAL ID learner permit or Limited Purpose learner permit within 10 business days. Be at least 16 1/2 years old. Have held your instruction permit for at least 6 months. Have completed a minimum of 40 hours of supervised driving practice. For specific details about how to apply for your provisional driver's license, please read our page about Applying for a New License (Teen Drivers) in Washington, D.C. Apply for a driver's license or identification card from the Washington D.C. DMV. You can also use this form to register to vote. Use this form to provide consent for your child to obtain a learner permit. This form is used to establish Washington, D.C. residency when applying for a limited-purpose ID card or driver's license. Use this form to certify you are eligible to obtain a provisional license. MUST be signed by your driving tutor. This form is used by the D.C. DMV to confirm whether or not you have a Social Security number, whether you are eligible to receive one, OR to state that you cannot establish legal presence in the U.S. but have been assigned a Social Security number.